You can create your own custom content types with Sculpin. To do so, configure sculpin_content_types in app/config/sculpin_kernel.yml by following the guidelines outlined below. The end result will be one or more data providers and optionally some taxonomy-related data providers (like "tags" on blog posts) and index generators. The content types bundle uses rules to derive some values automatically so that you have to configure fewer things. Everything can be overridden, though, so you can tailor the configuration if you're not satisfied by Sculpin's default guesses. Content types are defined by configuring the sculpin_content_types section of app/config/sculpin_kernel.yml. The top level keys in this node are considered the type names. Each type can have additional configuration. singular_name: The singularized name for the type. Defaults to the result of calling a singularize function on the type name. type: The type of content type, either path or meta. Essentially, this is how Sculpin determines how it will select the content type. Either based on path or on some meta information. meta_key: If type: meta, the meta key that will be used to locate this type. Defaults to type. meta: If type: meta, the value of the meta key that will be used to locate this type. Defaults to the singularized name. publish_drafts: Whether or not to publish drafts of this type. In the production environment this defaults to false. Otherwise, the default value is true. layout: The default layout to use for this type. Defaults to the singularized name of the type. permalink: The default permalink to use for this type. enabled: Whether or not the content type should be enabled. Defaults to true. New in Sculpin 3.0, the sculpin content:create command will automatically define the YML changes and create placeholder HTML and Markdown assets for your specified content type. Running this command will create a new "Projects" content type with boilerplate files as well as the taxonomy "Tags" for organizing the project entries by custom tags. Don't forget to add the YAML to your sculpin_kernel.yml file. |   |   `-- tag.html    - Listing template for individual "tags"
All of these files are extremely bare-bones placeholders, meant to provide a toehold for getting started with building your site and taking advantage of Sculpin's features for aggregation (taxonomies) and pagination. Run vendor/bin/sculpin generate --watch --server and browse to your sculpin site's projects folder (e.g., http://localhost:8000/projects) to see your new Project entry. Continue reading for an overview of how these files tie together to deliver custom content. The following is a sample content type called projects. That's it! It wires everything up using defaults. Isn't magic fun? The default values are expanded below. Please note that you do not have to specify all of these options, this merely shows the configuration options you can set, if you need to change the defaults. projects (data provider): This is created based on the name of the type. It contains a sorted list of all of the sources that are discovered for the content type. next_project: Each item in the projects collection will have a next_project meta data that contains either null or the next project in the collection. previous_project: Each item in the projects collection will have a previous_project meta data that contains either null or the previous project in the collection. projects_tags (data provider): This is a Sculpin\Contrib\Taxonomy\ProxySourceTaxonomyDataProvider that contains a mapping from tags to projects. projects_tag_index (generator): This is a Sculpin\Contrib\Taxonomy\ProxySourceTaxonomyIndexGenerator that will create a page for each tag. tag: Each generated tag index will have a piece of meta data named tag that will contain the name of the tag for which the index is being generated. tag_projects: Each generated tag index will have a piece of meta data named tag_projects that will be the collection of all projects with this tag. 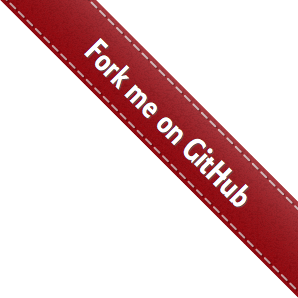 project.tag_html_index_permalinks (source property): Each source (in this case, each project source) will have have a map of each taxon to its indexes for each type (html, json, xml) if any are available. If there is an HTML page that uses the projects_tag_index generator, then tag_html_index_permalinks will be added to each project source. The following is a sample of a template that can be used to list all projects. The following is a sample of a template that can be used to list all tags that have been used to tag projects. The following is a sample of a template that leverages the tag index generator to create a new page for every tag and list its projects. Custom types can be paginated in the same way as posts. The use list will load all the items in each given provider into the key data.. So, in this example, all the projects available will be loaded into data.projects. By setting the provider of pagination to data.projects, we are able to paginate our custom type instead.